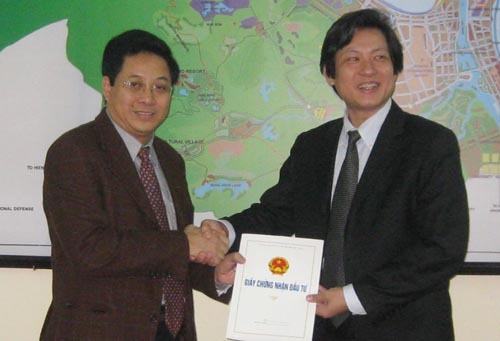 VNRE – In 28-January pm, Mr. Lam Quang Minh, Director of Investment Promotion Center, authorized by the Chairman of Da Nang People Committee granted investment certificate for marina projects of Da Nang Marina Limited Company. Project has total investment of US 174 million, located in Nai Hien Dong Ward, Son Tra district, with 112,509 m2 of land area and 63,003 m2 of water area. In addition, project has beach recreation area, apartments, luxury villas, hotels, shopping centers… The project will be implemented this year and completed in 2018. VNRE – Vietnam’s real estate prices have risen this past year, but a number of factors have recently brought uncertainty to the market . The first factor has been falling US dollar reserves and the weakening Vietnamese dong (VND), due to high inflation. Due to the managed-float exchange rate regime, dollar reserves are quickly drying up as the government, under pressure from double-digit inflation, sells foreign currencies to keep the exchange rate within a band. The currency is depreciating, and as it falls further, more people want to convert their money into dollars or gold. This has serious repercussions for the housing market, because most real estate transactions are quoted and concluded in US dollars. If the supply of dollars dries up, the real estate market could grind to a halt. Hyperinflation in the late 1980s to early 1990s led to the use of gold, measured in taels, for house purchases. Without the use of gold or US dollars, sacks of paper bills would have been needed to purchase a small house or pay rent. With gold prices rapidly rising in the mid 2000s, the real estate market was at a standstill until the shift to US dollars. Many real estate developers set-up their prices in US dollars to ensure that their profits are not affected by exchange rate fluctuations. 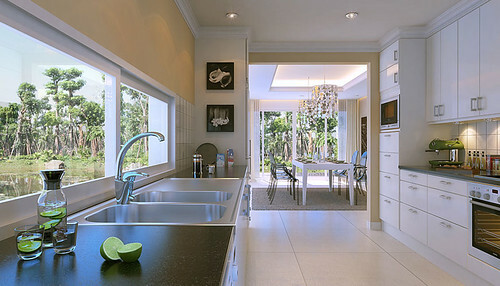 Thus, exchange rate-related risks are passed on to homebuyers. 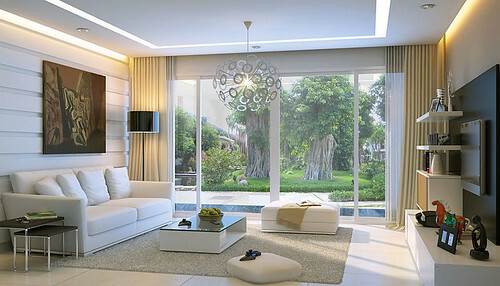 Even 100% Vietnamese-invested residential developments post prices and require payment in US dollars. The second issue was last August’s implementation of Decree 71/2001/ND-CP (Decree 71), providing guidance on the November 2005 Law on Residential Housing. Decree 71 aims to discourage speculative real estate investment. Intended to minimise risks for buyers, Decree 71 requires clearance from the Prime Minister for large-scale developments. Uncertainty over the implementation of Decree 71 caused developers to accelerate construction of some projects and the purchase of lands, lead to huge price spikes in some areas, while flooding other areas with new supply. In HCMC, Vietnam’s economic center, residential resale prices in all segments have been steady for the past two years, according to CB Richard Ellis Vietnam. On the other hand, Hanoi residential resale prices were up 9% on average during the year to Q3 2010, at US$1,837 per sq. m.
In the low-end segment, average asking prices jumped 24% y-o-y to Q3 2010, but were up a mere 2.2% from the previous quarter. Prices in the luxury and high-end segment fell 1% during the quarter to Q3 2010. 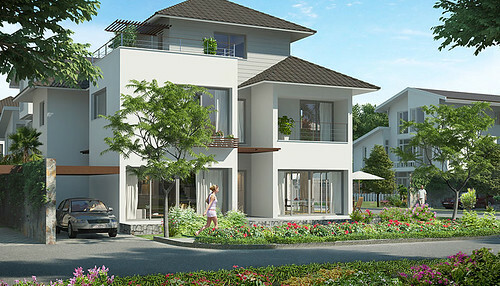 In the third quarter of 2010, the average price of villas located in posh residential areas in Vietnam range from US$1.5 million to US$2 million while villas in new neighbourhoods are priced at US$250,000, according to local real estate analysts. Keangnam Landmark Tower, at US$2,800 to US$3,300 per sq. m.
Indochina Plaza Hanoi, at US$2,800 per sq. m.
Sky City Tower, at US$2,300 per sq. 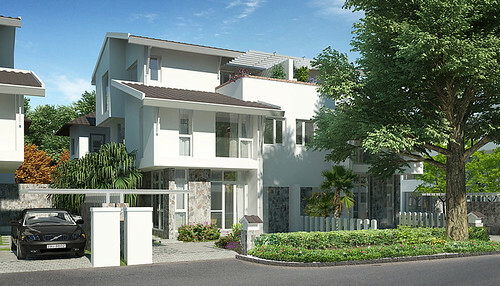 m.
Mulbery Lane, at US$1,800 per sq. 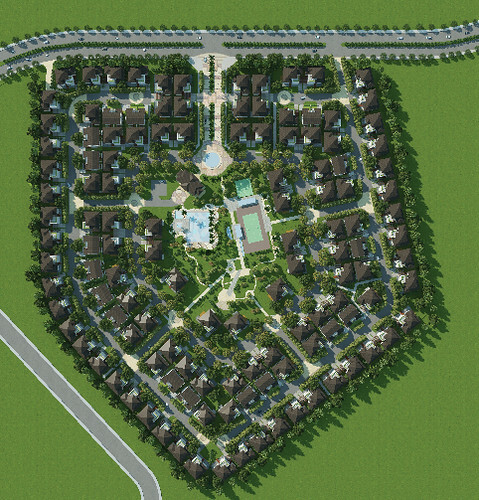 m.
Parkcity, at US$3,000 per sq. 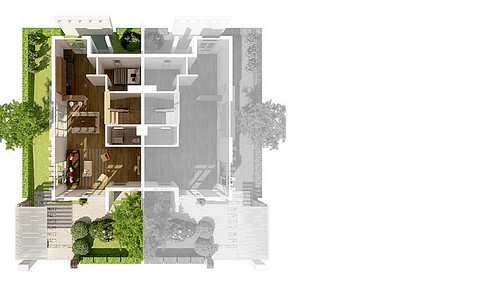 m.
Usilk urban area project, at US$1,000 to US$2,000 per sq. m.
Mipec Tower, at US$1,000 to US$2,000 per sq. 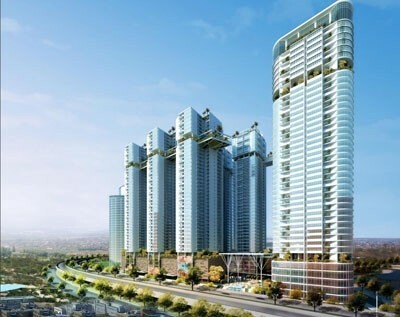 m.
Thanh Cong Tower, at US$1,000 to US$2,000 per sq. m.
Discovery Complex (302 Cau Giay street) project, at US$1,000 to US$2,000 per sq. m.
Decree 71 also contains revisions to the Housing Law allowing Viet Kieu (overseas Vietnamese) to possess as unlimited property just like Vietnamese citizens. The new regulations are expected to create more demand in the housing market. About 70% of the 4 million Viet Kieu retain their Vietnamese nationality, according to the Ministry of Construction. Before the new decree took effect, Decree 81, already in force, allowed certain Viet Kieu to buy property. However after 9 years of implementation, only 140 Viet Kieu had bought houses in their own names, due to red tape. It is however unclear if the new decree will address the problems of corruption and red tape. In addition, many overseas Vietnamese prefer to purchase property under the names of relatives to avoid tax liabilities and other obligations. Decree 71 also mandates that residential housing projects with a total of 2,500 housing units (incl. villas, detached houses, apartment buildings, new urban zones and mixed use projects) must be approved by the Prime Minister. Any amendments to the project must also be approved by the Prime Minister. This can potentially lead to delays and more red tape. However, the 70 years lease period allowed to foreign investors was reduced to 50 years in 2009. Demand for affordable housing has risen in recent years, given a rising population, rapid migration from rural to urban areas, and rapidly improving living standards. The demand for affordable houses is now outstripping supply, as residential development has largely focused on high-end customers. In Ho Chi Minh City, the country’s largest city, only 14% of the total supply of luxury apartments was sold in the first eight months of 2010, according to a survey conducted by Cushman and Wakefield Vietnam. 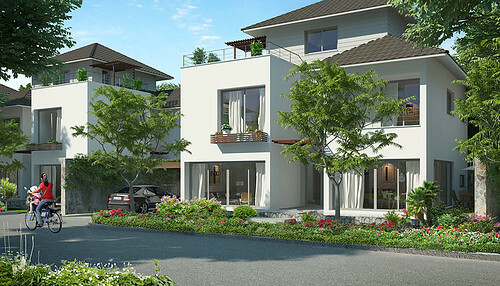 On the other hand, about 670 units of newly-built apartments in Hanoi were sold in the 2nd quarter of 2010, or about 48% of the supply in the primary market in the capital, according to Savills Vietnam, a UK-based research firm. vietnamese and overseas Vietnamese account for about 70% of homebuyers in the country, while the rest are foreigners, according to Nguyen Kim Son of BTA Development Investment. In the 3rd quarter of 2010, the total supply of condominium units in Hanoi was 75,235 units, up 4.5% from the previous quarter, according to CB Richard Ellis Vietnam. 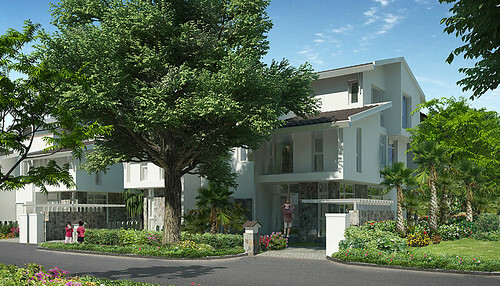 In addition, about 3,000 additional units are expected to be completed in Hanoi in the last quarter of 2010. Just like in the capital, other areas in Vietnam are also experiencing an increase in supply. There were around 11,200 newly-built apartments available for sale in the southern city in the 2nd quarter of 2010, up 24% from the previous quarter, according to Savills Vietnam. In addition, about 28,500 apartments currently under construction are expected to be completed in the next two years. 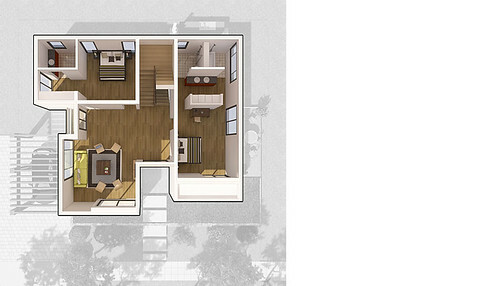 The government also constructed low-income apartments which will be available for sale by the end of 2010. However, high interest rates and strict loan procedures are still hindering the local mortgage market from flourishing. The loan-to-value (LTV) ratio rarely exceeds 50% of the appraised value of the property. The term period is usually 15 years. In the first 9 months of 2010, the average lending rate was 13.5%, up from 12% in 2009. To curb inflationary pressures, the base interest rate was raised by 100 basis points to 9% in November 2010, from 8% since December 2009, based from figures released by the central bank, The State Bank of Vietnam. In September 2010, the average rent for high to mid-end condominium units in Vietnam was US$10 per sq. m. However, the local rental market is very diverse, with rents differing in each city. Hanoi has the most expensive housing in the country, with average asking rent at US$30.31 (VND587,311) per sq. m. per month in Q3 2010, up 5.9% from a year earlier, according to CB Richard Ellis Vietnam. In Hanoi, a 170-sq m. apartment has an expected rental yields of 7%, according to local real estate developers. On the other hand, a same sized apartment located in Ho Chi Minh City has higher rental yields of about 9%. In Ho Chi Minh City, the overall rental vacancy rate was 16.5% in the 3rd quarter of 2010, slightly up from 16% in 2009, according to the latest report from CB Richard Ellis Vietnam. In the 3rd quarter of 2010, the country’s GDP growth rate accelerated to 7.2% y-o-y, up from 5.8% and 6.4% in Q1 and Q2 2010, respectively. In 2010, Vietnam’s economic growth is expected to exceed 7%, up from the previous projection of 6.5%. The country’s GDP growth was 5.3% in 2009 and 6.3% in 2008. While the economy is growing fast, consumer prices are rising much faster. Overall inflation for 2010 is at 11.8%, much higher than the government target of 8%, according to the General Statistics Office (GSO). The government had already imposed price controls on key commodities such as electricity, coal, cement, fertilizer and other goods to no avail. In December, rating agencies downgraded Vietnam’s foreign currency bond ratings. Moody’s lowered its rating from Ba3 to B1 (four steps below investment grade), while S&P rated Vietnam at BB- (three steps below investment grade). They both kept the outlook as negative, implying the future downgrades can be expected. In their report, Moody’s pointed to the increased risk of a balance of payment (BOP) crisis in Vietnam because imports are outpacing exports. Foreign reserves are being depleted because of capital flight and the effort to defend an overvalued currency. Other factors leading to the downgrade were high inflation, excessive bank lending and the near-collapse of the state-owned Vinashin. Originally a shipbuilding company, Vinashin expanded to a wide array of industries including tourism and animal feeds. As of June 2010, its total debt reached US$4.5billio, roughly 4.5% of Vietnam’s GDP. The government said that it will not bail out the company but provided zero-interest loans for the salary of its employees. VNRE – Vietnam, the 120th poorest nation worldwide, is among top 20 countries having the most expensive realty markets, state media reported, citing an official. The realty prices in the Southeast Asian country, particularly in Hanoi, have repeatedly risen amid the stable demand which is mostly for low-cost housing projects, said Nguyen Tran Nam, deputy minister of the Ministry of Construction. Nam explained the paradox for speculation as investors from different localities pouring money into realty projectd in Hanoi on expectations that it would rise due to higher demand. Many rich people in provinces from northern to central regions have invested in land and houses to serve later study, work and residence of their children, Nam said, adding that investors of each province bought about 50 apartments and houses in Hanoi per year. Meanwhile, Vu Thanh Tung, director of Vietnam Investment Consulting and Construction Designing JSC attributed the situation to fake demand caused by realty investors. Realty developers sometimes caused fake thin supply to attract consumers, Tung explained. 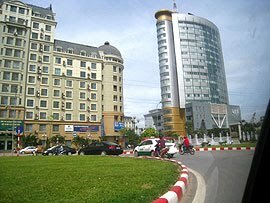 High cost and bank interests also cause higher output prices, Tung added, saying that the realty prices in Hanoi double that in the southern economic hub of Ho Chi Minh City and five to ten times higher than that in the southern province of Binh Duong, the leading locality for FDI attraction. VNRE – Viet Nam would be among the top five emerging real estate markets for investment this year, according to the Association of Foreign Investors in Real Estate (FIRE) based in the US. Brazil, China and India dominate the market (in that order), but Viet Nam, unranked in 2010, jumped to the fourth position. Mexico ranked fifth, losing last year’s position to Viet Nam. Russia, which has been amongst the top five for the last two years, dropped to the tenth place. Peter Ryder, general director of Indochina Capital, which currently has several real estate projects under construction in Viet Nam, said the recent rise in investment in Viet Nam was due to the rapid growth of the country’s real estate market and the open regulations that allow the participation of foreign investors. “Viet Nam’s entry at number four in the survey actively demonstrates investors’ belief in the attractive demographics of the country and its stable growth environment from an investment perspective,” said Richard Emerson, head of investment, Savills Viet Nam Ltd Company’s Ha Noi Branch. “Based on such statistics, those surveyed clearly anticipate that the country will provide potentially higher returns than those available in other emerging markets such as Russia and Turkey, both of whom have fallen out of this year’s top five ranking,” he said. Meanwhile, Marc Townsend, CB Richard Ellis Viet Nam Ltd’s managing director, said the survey showed a trend that Viet Nam was being viewed more and more as an attractive option for investment. “This is in line with our experience, having seen increased interest in the country from foreign investors in recent times, as lower than average investment returns in more developed markets force investors to move up the risk curve in order to achieve results,” Emerson said. Last year, the real estate sector received the largest registered FDI at US$6.8 billion (S$8.7 billion), according to a report on FDI for 2010 from the Ministry of Planning and Investment. 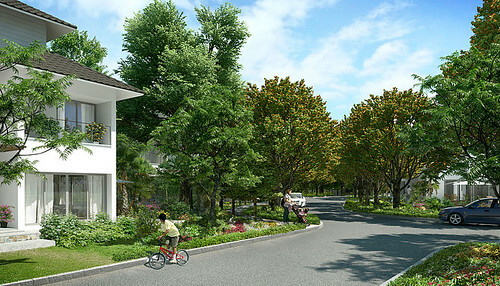 VNRE – Vuon Mai Villas with the site area 7.68 hectares includes 109 detached villas and 34 semi detached villas. 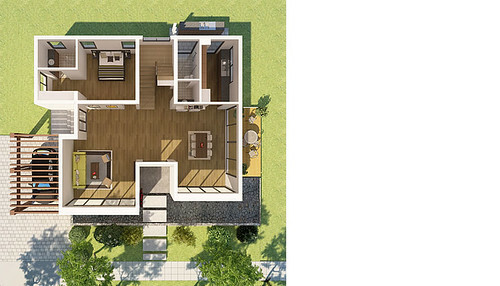 Vuon Mai Villas will only occupy about 40% of the site areas. Vihajico will use 2.4ha to build two central parks (Club House) and plant hundreds of large trees shading community constructions including Club, Swimming pool, tennis courts and open spaces. 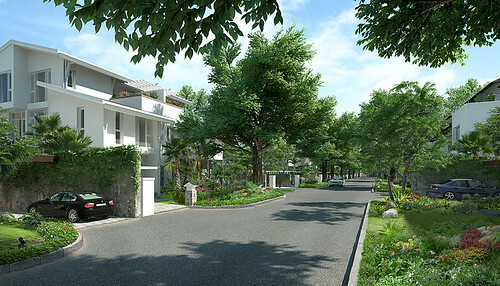 Top landscape architects will harmoniously combine large trees with shade trees and hundreds of kinds of flowers, to create an amazing natural green backdrop to the villa developments. 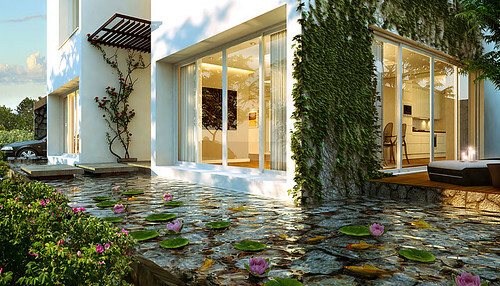 All villas are to be built using the latest ‘green’ construction methods and their designs will highlight open space. Once the exterior shells are complete, they will be handed over to customers, who can determine their own design styles for each room as well as the decoration for their villas. 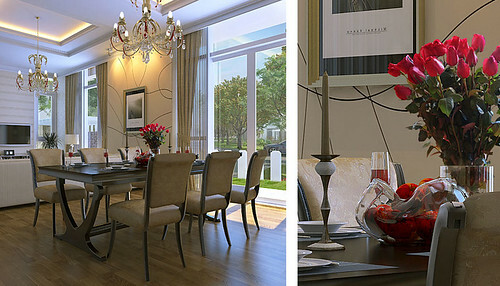 You will have plenty of opportunities and space to express your own ideas and style through your villa. Tel: 84.4.3936 3940 – Fax: 84.4.3936 4174. 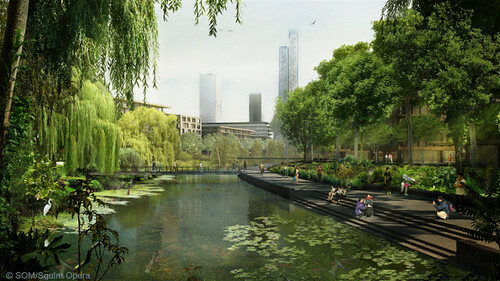 VNRE – Skidmore, Owings & Merrill, Inc (SOM) has been awarded, by Blenheim Properties, the commission for the master plan for Green Tech City in Hanoi, Vietnam. SOM’s preliminary plan for a sustainable urban district has been applauded by local authorities, including the Head of Planning, the Chief Architect and the Mayor of Hanoi. SOM is now working closely with these authorities to finalize the project’s approach and ensure its delivery. SOM’s master plan creates a new district and urban vision for this area of Hanoi based on its local culture and urban heritage. The plan incorporates advanced city design methods and sustainable principles to reduce the demand for non-renewable resources and typical civil infrastructure. 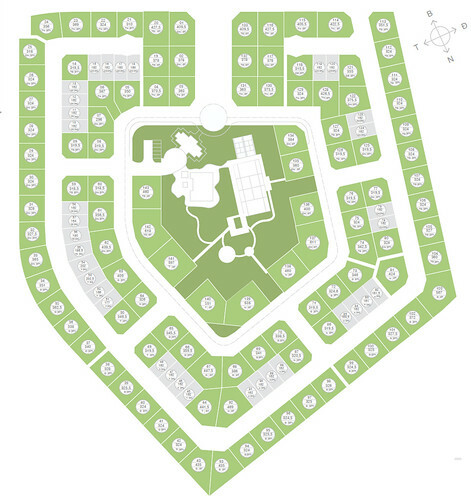 Covering an area of 145 hectares, the plan integrates two existing villages with future development and provides necessary community amenities to serve a future urban population in excess of 20,000 people. 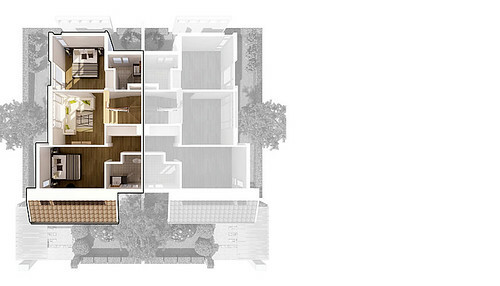 The Master Plan expands and reinforces the local traditions and green urban character of Hanoi. The plan also engages and enlivens the strategic green landscape corridor envisioned at the city scale along the adjoining river and applies state-of-the-art technology in carbon emissions reduction, energy needs reduction and smart infrastructure. In addition to a new linear riverfront park, the Master Plan generates a series of organic, low-rise, pedestrian-friendly residential neighborhoods within the planned ‘Green Corridor’. This is balanced by a more urban and dense edge of high rise development articulating the future skyline of the district. A complete urban living environment will emerge on site, including a variety of housing types integrated with schools, healthcare clinics, sports and other public facilities. One of the key architectural features at the heart of the plan is a new Cultural Forum building animating a civic piazza, establishing an iconic meeting space for this new community and the wider population of Hanoi. This building is designed to accommodate a range of uses including an auditorium, TV studio, art gallery, mediateque, and cafés. The fragmented system of existing agricultural water channels on site is reorganized into an interconnected network of landscaped waterways. These will provide continuous bands of public green space defining intimate outdoor spaces for each neighborhood. This water system assists in managing flood control, preventing rainwater runoff into surrounding areas, filtering and cleansing grey water and providing a source for irrigating new viticulture activities. New public spaces also protect and encourage new native wildlife habitats to form. In addition to the new city riverfront park, these spaces include a linear canal park, a lake-front district, public gardens, children’s play areas, sports and recreation fields, a wetland centre and nature walks. 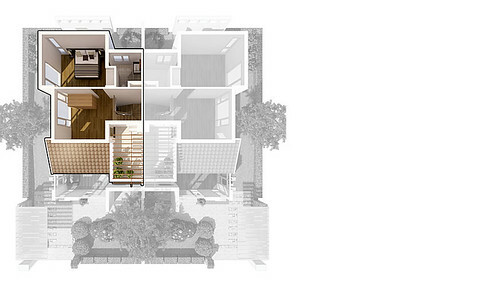 The plan was informed by a rigorous process designed to optimize its environmental sustainability. Wind and solar analyses were used to determine the optimal orientation of streets and buildings in order to create comfortable urban micro-climates. These ensure the plan will harness natural environmental conditions in order to maximize comfort and minimize infrastructure requirements as well as operational energy costs. Sustainable district-wide technologies like canal water cooling, tri-generation plants, waste recycling and rainwater harvesting are integral components of the plan. 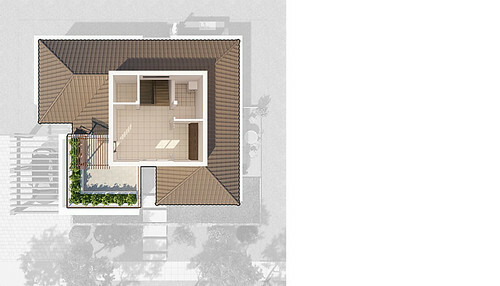 While contemporary building technology is championed, the plan also promotes low-tech passive design strategies for environmentally-friendly architecture that is appropriate for the local economy and Vietnamese climate and culture. In addition to SOM’s timeless, internationally-recognized architecture, the firm has also undertaken some of the largest and most complex development projects in the world. These include the master plan for Canary Wharf in London, the National Plan for the Kingdom of Bahrain and the redevelopment strategy for the historic Eastern Harbor of Alexandria, Egypt. SOM focuses on cities as the places where the strongest forces for change are at work and where there is the greatest need to address issues of livability, function and growth. SOM responds by creating long-range plans for whole cities, central city and waterfront districts, and urban neighborhoods with key built projects that become homes and places of work. SOM’s City Design Practice is currently engaged in major projects throughout the Americas, Europe, the Middle East, India and Asia. 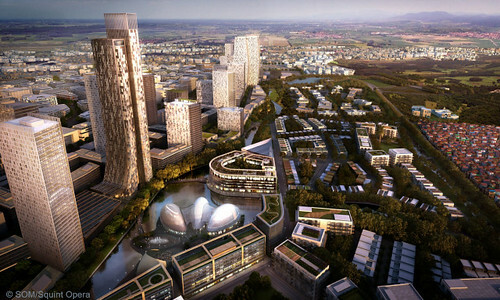 Green Tech City is a significant addition to SOM’s worldwide range of innovative and sustainable master plans and is one of three new large-scale plans being developed by SOM in Vietnam. This follows the firm’s Saigon South Master Plan in Ho Chi Minh City, Vietnam which was completed in the late 1990’s. The first major phases of development have recently been completed, including the impressive new district of Phu My Hung. SOM’s legacy of large scale city planning in the region continues, including the Baietan Master Plan in central Guangzhou, China, the Binhai New Area CBD in Tianjin, China and the Beijing Central Business District (CBD) East Extension Master Plan. Skidmore, Owings & Merrill LLP (SOM) is one of the leading architecture, interior design, engineering, and urban-planning firms in the world, with a 75-year reputation for design excellence and a portfolio that includes some of the most important architectural accomplishments of the 20th and 21st centuries. Since its inception, SOM has been a leader in the research and development of specialized technologies, new processes and innovative ideas, many of which have had a palpable and lasting impact on the design profession and the physical environment. The firm’s longstanding leadership in design and building technology has been honored with more than 1,400 awards for quality, innovation, and management. The American Institute of Architects has recognized SOM twice with its highest honor, the Architecture Firm Award—in 1962 and again in 1996. The firm maintains offices in Chicago, New York, San Francisco, Washington, D.C., London, Hong Kong, Shanghai, Brussels, Abu Dhabi and Dubai.